Getting children to sleep and helping them stay asleep can be so difficult. Just when you think you’ve established a great routine and your little one is sleeping great, something ruins it like teething or an ear ache. Maybe you have a child that goes to sleep like a champ, but is ready to party for the day at 4 a.m. Whatever the issue may be, sometimes you just need a little help. Cloud B is a company founded in 2002 and is now the world’s leading manufacturer of products that help children sleep. Their sound and light plush animals sooth babies based off of pediatric research showing the calming effects of such sounds. Their products are recognize and available nation-wide. Most recently Cloud B has developed Stay Asleep Buddies, to help little ones who have a hard time determining sleep time from wake time. 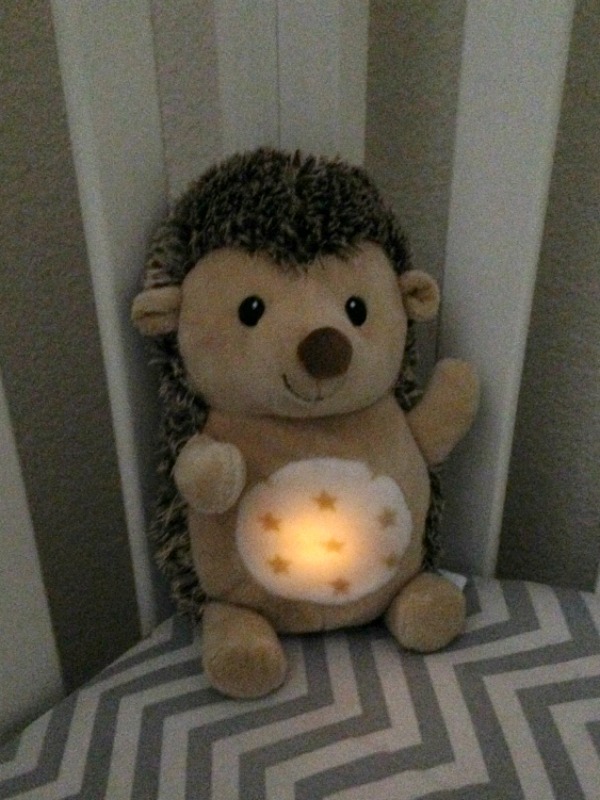 This plush Hedgehog is a sleep trainer, sound soother, and night light all in one. A battery-operated device fits inside the plush that will allow you to set the desired length of sleep time. A soothing musical melody and a soft glowing light play to help lull children to sleep. When it’s time to wake (based on the hour increment you set), a green light goes on, and a happy tune plays. 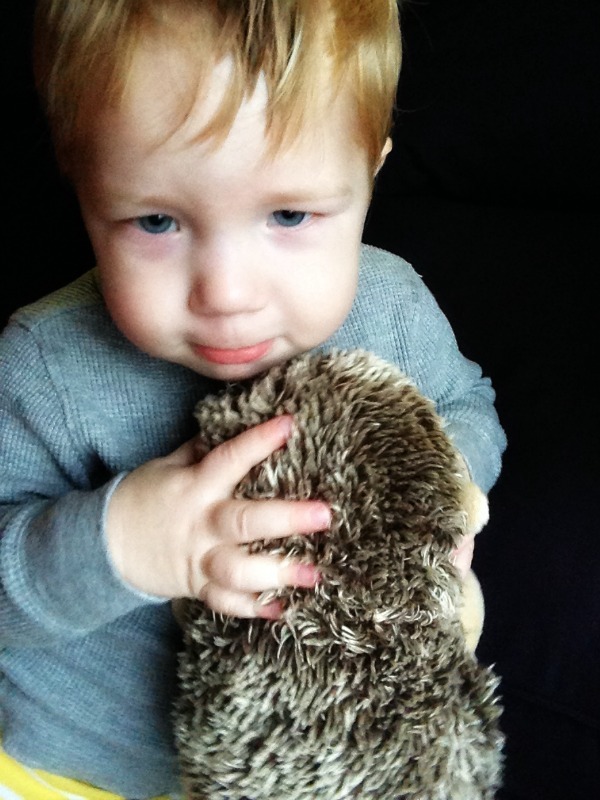 So far, my 17 month old has responded really well to the Hedgehog Stay Asleep Buddy. He grabs for it when it’s time for bed every night, and cuddles with it while we read books. It goes down with him in his crib every night as well. The glowing light is bright enough for my son to notice but not too distracting. The soothing melody repeats for 45 full minutes, so I don’t have to worry about it stopping before he has fallen asleep. Once the melody stops, it will go on again anytime my son attempts to pick it up or if he is moving around in his crib in the middle of the night. I really think it has helped him get himself back to sleep during those random middle of the night wake ups. Waking too early in the morning hasn’t been a common problem for us, but with two older siblings I know that time will come. 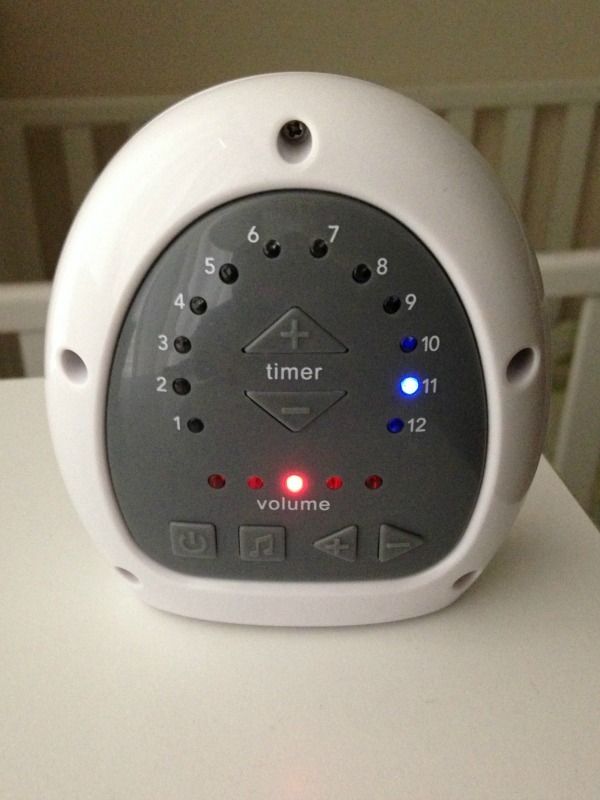 In the meantime, we will continue to use the night light and soothing melody that has worked well for my son so far. The Hedgehog Stay Asleep Buddy can be purchased for $30.95. They would be a useful gift for newborns all the way up to toddlers. New parents would definitely appreciate this product as well. To learn more about the Stay Asleep Buddies or other musical soothers by B Cloud, check out their website at www.cloudb.com. Follow Cloud B on Facebook and Twitter to keep up with their news. Check out their YouTube channel to see their products in action. Do you have any problems getting your littlest ones to sleep or keeping them asleep? What tips do you have for other parents going through the same thing? That is such a cute idea. I wish I had one of those back when my boys were babies. Awwww my grand babies would love one of these. I’ll have to check them out for Christmas gifts. So cute. This is so cute idea. Looking forward to have this for my baby sister. This is really great. I think that’s really cool. I love the concept since kids rely so much on routines. It’s nice to have something that would help them through the night and on mornings too. This is really cute. I’ve heard about Cloud B and was wondering what it was all about. I’m going to look into one for the kids Christmas gift. Such a sweet little face! Like the concept of this machine too. Happy it works for your little one. Love this! IT is so cute too! I am pregnant, so not ready for this yet, but I am definitely bookmarking this. What a cute cuddle hedgehog. I like that it plays a soothing melody because soft musics helps me go off to sleep too. That is adorable. I think I need to invest in one for my son. This is such an awesome idea and my son would absolutely love it. 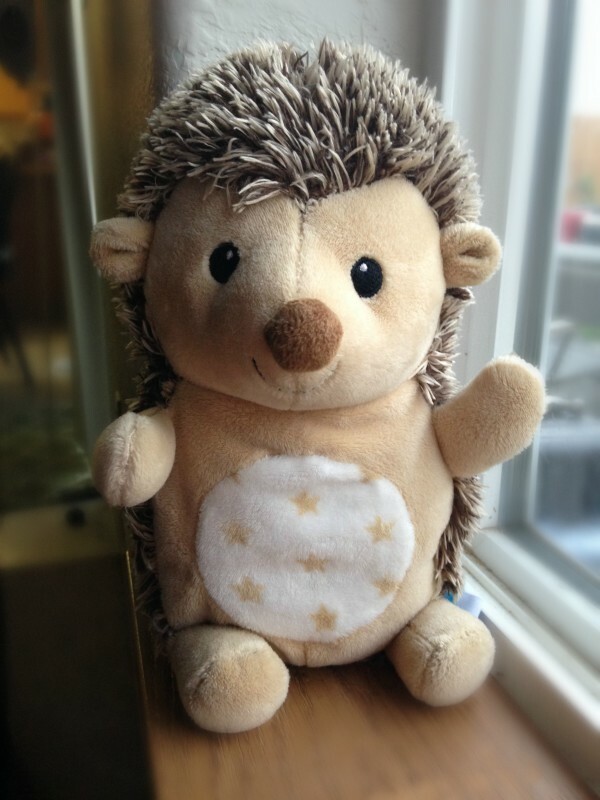 this cuddly doll is so cute and very reasonably priced! I think that any product that helps a child fall asleep or stay asleep is amazing and worth every penny! I just love this hedgehog! It is really adorable and I think my niece would love one of these for Christmas! Oh how sweet. I wonder if this would’ve helped when my kids were little, they always had a tough time falling asleep on their own. What an awesome friend for the little ones to have! I can see how they would be super calming. That is absolutely cute! This would make a perfect gift for the little ones. So cute, and so needed! My 5 yr old could use one of these. So cute, and good for the kids I’m sure they will love it/. This is so cute! My 18 month old and 5 year old sometimes still wake up in the middle of the night and would love this! Our youngest is the early riser as well. This is a great idea we should try with him. How cute! And what an adorable little one you have. i want to get these for my girls! i love this little hedgehog! Does the motion sensor work for you? Can your child get it to work by themselves? I just purchase one and the motion sensor doesn’t work well. I literally have to bang the toy down on a hard surface to get it to start back up again. I would definitely contact Cloud B about that, because that sounds like it’s defective. As far as I know, Emily didn’t have any issues with hers.